The Gumotex Twist 1 is a lightweight inflatable solo kayak coming in at only 7.4kg, made from Nitrilon it has the advantages of good resistance, wash-ability and durability. The Gumotex Twist 1 is a lightweight durable inflatable solo kayak. 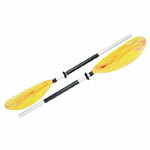 Easy to paddle wheather a begginer or an intermediate looking for a stable craft, or an expert paddler wanting something light and easy to paddle. 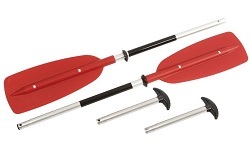 The Twist 1 is perfect for paddling on rivers, lakes and calm gentle seas and esturies however should you come across some mild whitewater the Twist 1 will also deal with that no problems. Made from the brillaint Nitrilon material, the twist 1 is not only light but its durable, easily washable, quick to dry (unlike other inflatables made from nylon) and built to last. Quick and easy to inflat with three inflation points on the kayak itself and 2 on the seat and footrest. The seat provides enough comfort for both day trips and expedition paddling and the additiion of the footrest allows the paddler to keep a good paddling posture to get the best drive from the paddle. 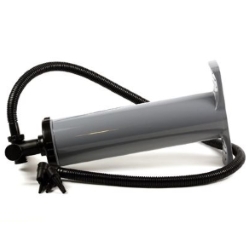 The Twist 1 also has a bungee area behind the seat for storing your dry bag. Like the look of the Twist 1 but need it for 2? Take a look at the Gumotex Twist 2. Unless instructed otherwise, we endeavour to supply the Gumotex Twist 1 in 3-5 working days within the UK mainland. Delivery times are estimates based on years of experience; we do not offer a guaranteed timed delivery service. Our overnight service works well for the core more densely populated areas of the UK for Clothing and Equipment orders. However more remote less densely populated areas will not be covered by a next day service. Buy a Gumotex Twist 1 online from our website and collect from our shop in Hamworthy, Poole or you can collect from any branch within the Canoe Shops Group. There is no cost associated with in-store collection.